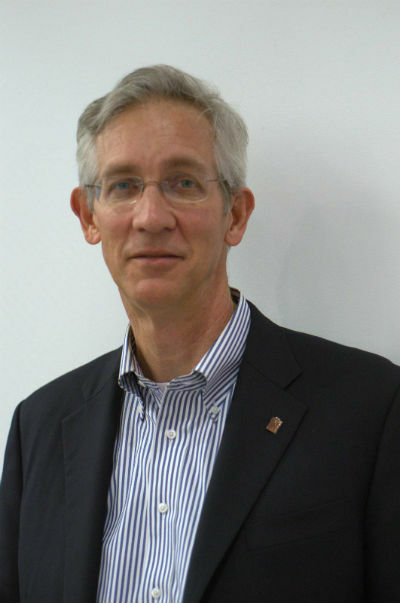 John Leeper AR’85 is the president of the Cooper Union Alumni Association. 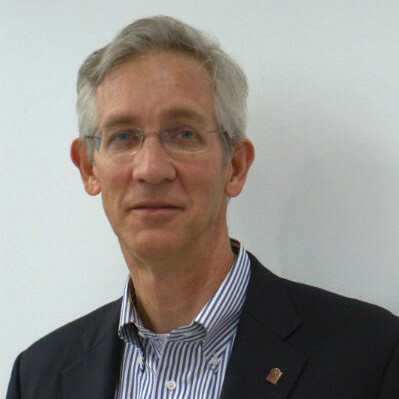 He has previously served as CUAA Secretary/Treasurer and on the Editorial and John Q. Hejduk Award committees. He co-chaired the 2006 Founder’s Day Dinner Dance and was the 2012 Alumnus of the year. John is married to Gilly Youner A’82. Mary Lynch ChE ’82 recently spoke with him about some of his achievements and his many connections to Cooper. How did you first hear about the Cooper Union? After graduating from Wesleyan University with a degree in math, I came to New York City to work for Peter Eisenman at the Institute of Architecture and Urban Studies that was an architectural think tank that had among its other programs, internships and architectural courses. I had the privilege of being Peter Eisenman’s intern. I visited some of the Ivy League architecture schools during that year and Cooper. Did you consider attending any other architecture schools? A major part of the internship was to learn about architecture in an intensive environment to see if it was what we really wanted to do. Those of us that decided to continue with architecture visited schools. I visited both Harvard and Yale universities. I didn’t like the quality of the student work that was on display at those schools. When I visited Cooper Union, I really liked the quality of work that was on walls and on the tables. I liked its breadth, variety, intensity, craft and quality. I wanted to be part of what I saw. What do you remember most fondly about your time at The Cooper Union? I had the opportunity to study with Dean John Hejduk and his great faculty such as Israel Seinuk, Sue Gussow A’56, Richard Henderson, Tod Williams, Liz Diller AR’79, Ric Scoffidio AR’55, Diana Agrest, and Diane Lewis AR’76. During the 4th year there was a required course in construction management taught by the President and Executive Vice President of HRH Construction, Arthur Nusbaum and Joel Silverman who hired John Huddy AR’85 and I after we graduated. As much as I learned from the great faculty I learned the most from my classmates — they are very talented and worked with great energy intensity and discipline. I treasure many memories from that time. I deeply love the Cooper Union and do not want it to lose its unique character and become just another tuition charging school. I believe that tuition free makes a difference but I am not willing for Cooper to disappear. After Graduating from The Cooper Union, what came next? I actually began working at HRH Construction between the 4th and 5th years and then continued there after graduation. I worked on the construction site of a large Philip Johnson designed commercial office building downtown and rediscovered that I love construction. On that first job, I was an assistant superintendent, which meant that I got to see most aspects of a building’s construction. What do you enjoy most about construction projects? I like finding an order and bringing that to what can often be the chaos of construction. I like being able to take information from 2 dimensional drawings, specifications, budgets and schedules and producing something real and doing so safely with the highest quality on time and on budget. I particularly like the aesthetic experience of building: starting from the ground down to the lowest level through the structure to the finished spaces. I love the experience of going from a derrick floor on a steel building, standing on metal deck to standing on concrete with the curtain wall enclosing that same space while carrying the memory of the experience of being there in an earlier stage of construction. I love building all the spaces that later become inaccessible and remembering the view from those places in which no one can now stand. What is your current big project? I am currently working for E.E. Cruz & Company which is one of the best large general contracting construction companies in the New York-New Jersey area. I am the Project Executive for the construction of 96th Street Station for the 2nd Avenue Subway. This station is large. It runs from 93rd Street to 97th Street and we are responsible for most of the tunnel fit out from 86th to 105thStreets. The project includes moving existing utilities; building the support structure, including slurry walls and invert slabs; the station, two support buildings, multiple entrances and multiple platforms. The train rails and signals will be done by another contractor. When did you teach at The Cooper Union and what did you teach? I team taught an elective course in Construction Management in the Engineering school with John Huddy AR’85. I taught the course for 2 years around 2003. It was a good course with students from the civil, mechanical, electrical and even a few chemical engineering programs. They asked good questions that really made me think. I have seen many of them out in the field over the past few years. Those that I have seen, are all doing really well. Cooper has a deservedly good reputation in the New York construction community. Cooper graduates in construction have distinguished themselves well. When did you join the Cooper Union Alumni Council and when did you become an officer in the CUAA? I think it was around 2000 that I was elected to the Alumni Council. I became the Secretary/Treasurer in 2006 and served in that capacity until 2011. In that role, I worked closely with the director of Alumni Affairs, meeting with her weekly. I also served on the Annual Fund, Editorial,and the John Hejduk Award committees. What are you looking forward to during your term as CUAA President? The Executive Committee (ExComm) of the CUAA has taken on many initiatives this year that we believe will increase alumni visibility within the Cooper community and improve our effectiveness. Our first goal is to increase the participation of Alumni in the affairs of the school. We are building on the work done by the previous leadership of the CUAA. For example, President Bharucha and past CUAA president Peter Cafiero added the CUAA President as a voting member of the Board of Trustees (BOT) and three non-voting members to sit on three rotating committees on the BOT. Our second goal is to improve the communication of school news to the alumni. In council meetings, we have emphasized the importance of the CUAA members of the BOT both reporting clearly and as completely as possible to the alumni and to carry back to the BOT questions and initiatives from the alumni. This ExComm has made the increased use of the alumni website a central part of our means of communication with Cooper alumni. All records of committee meetings and council meetings with supporting documentation are or will be posted on the website so that all alumni can see what we are and are not doing. This ExComm is committed to being as agile, timely, and transparent as we can be. What are other changes in CUAA operations do you anticipate? We are working with the Alumni Affairs Office to gain greater access to the website for the individual committees to each have their own page on the website that can be used as a place to collaborate and inform. We have met together with the Development Office and the Alumni Affairs to start the process of revising the Memorandum of Agreement (MOA) that exists between the CUAA, Cooper, and the BOT. That process is currently suspended as we focus on revising and ratifying the CUAA constitution. It is our intention to present to the Cooper Alumni body by the end of this academic year a revision to the constitution and the by-laws that will make CUAA more representative and flexible in our ability to work and support Cooper in its challenges. There are structural aspects of the current constitution that are reminiscent of the Kremlin during the cold war such as single candidate elections for officers. The CUAA constitution requires four council meeting per academic year and specifies in what months those meeting must take place. This ExComm, in response to the continuation of the financial/tuition crisis has already held four council meetings since July 2013. We believe that if we as CUAA are going to be responsible for supporting Cooper’s move back to a sustainable future, we must inform and participate. That is why we held CUAA Council meetings in July and in August of last year. I do not believe that this has happened before. What role do you believe the CUAA should play with regard to the financial crisis? Many alumni were and remain sympathetic to the actions of the students involved in the occupation of the President’s Office. Many alumni were involved in the negotiations between the representatives of the BOT the students that lead the end of the occupation and to the formation of the Gural-Borkowsky Work Group. Last academic year, Mike Borkowsky came to the Council meeting on July 24, 2013 and presented to the CUAA Council his vision for the Working Group. The CUAA set up the extraordinary election to put in place alumni representatives from each school for the Working Group. We took nominations, vetted them, set up, and held the special election with the help of the Alumni Affairs Office. There could be no question that the alumni representatives were selected fairly and quickly. The alumni members of the Working Group have and will continue to report the progress of the Working Group to ExComm and to the CUAA Council. What other roles does the CUAA have? This Council is committed to providing more events for alumni. We are varying the type events that we are holding. For example, on December 3, Cooper Alumni are invited to an event at the Thurgood Marshall US Courthouse. The Courthouse is in the final stages of a significant infrastructure upgrade. Virtually all of the mechanical, electrical, plumbing, fire safety and communication systems were replaced. I was personally involved in the process for 2 years while I worked for Lend Lease. The courts, through coordination with Cooper alumni, helped create an evening of a panel presentation, followed by a tour and reception with refreshments afterwards on the upgrade. The AIA will be giving two hours of credit for attending. The event is not only open to Cooper; it is also open to the architectural community and other architectural schools. This event will give alumni continuing education hours, access to a normally closed facility that happened to be and architectural jewel, and networking possibilities. This event should appeal to artists, architects and engineers. All three were heavily involved in the significant upgrade of this historic facility. ExComm will look to generate more events like this if we receive good feedback on this event. I personally have not been happy with the Founder’s Day Dinners over the past ten years. I do not think that they have been well attended and the same group of people (~250 at max) would come year after year. Despite changing venues and changing it from a dinner to a “cocktail” event, it basically seemed to be an event that was unattractive to the majority of alumni. This year’s Founder’s Day Committee has proposed having a street fair to be held for most of the day on Sunday, April 13, 2014. The committee is making the event and day as inclusive as possible, welcoming the students, faculty and local community to join alumni. I view this event as one that we can all get behind and celebrate Cooper together. What is your opinion of the school’s new tuition policy? While I understand the need, I am sadden by this policy. I am also strengthened in my desire and commitment to reverse it. I’m committed to finding a way to increase Cooper’s endowment so that we can truly return to tuition free sustainably. I see this as a long-term goal that will require ~$400 million and at least ten years to achieve. I don’t see this endeavor successfully starting until the entire Cooper community is basically in agreement on the state of Cooper finances and the course we will follow towards a sustainable future. It is for that reason that I believe that the Working Group is so important. I believe that we need to give the trustees and administration opportunities to lay out that future. I also believe that part of our charge as alumni is to be the conscience and stewards of Cooper. Thus we must question sharply all plans presented by both parties and determine if they are workable and consistent with a shared vision. It sounds as though you are cautiously optimistic about Cooper’s future. Is that so? I am. I believe in Cooper’s ability to find sustainable solutions that preserve its heritage and unique place in the world. This entry was tagged John Leeper. Bookmark the permalink.